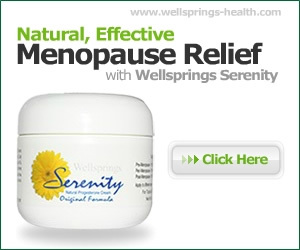 Menopause and memory – or lack of it – is a common complaint. You are not alone, and there is a reason for it, and also some natural help as bioidentical expert Virginia Hopkins shares her views. If you’re over the age of 55, chances are you’ve had a brain freeze or some other variation on the theme, such as forgetting why you just walked from the kitchen to the living room, or the name of your daughter’s mother-in-law. Most likely there’s no need to go for an Alzheimers’ test or a brain scan—it’s a normal part of aging, especially when you’re stressed—but it may be time to learn some relaxation and time management techniques. The biochemical culprit in brain freeze is cortisol, a hormone released by the adrenal glands in response to stress. Chronic, unremitting stress, which defines most women over 40, can contribute to brain fog, but add to that a more extreme stressor such as the death of a loved one; an accident or serious illness in the family; job loss; moving, or divorce, and memory can really take a dive. Anesthesia during surgery and prescription drugs such as prednisone, sleeping pills, statins and anti-anxiety drugs can also interfere with memory. Performers and public speakers often take the blood pressure drug propranolol an hour or two before an event, which effectively blocks stage fright, but can also cause dizziness, lightheadedness and yes, memory loss. Cortisol is designed to rise quickly in an emergency, shunting blood flow away from areas like the stomach and brain and into the muscles and nerves, the better to run from lions and tiger and bears. Chronically high cortisol can cause irritability, inability to focus, a dysfunctional immune system and increased appetite. At some point the adrenals become worn out and the resulting low cortisol levels cause debilitating fatigue. Chronically high cortisol also has a cascade effect on other hormones, in particular blocking progesterone and thyroid, which is one of the reasons you can have symptoms of low thyroid or progesterone and test normal for them. Low progesterone can cause estrogen dominance, which can cause foggy thinking, memory loss and thyroid dysfunction. Thyroid dysfunction can cause foggy brain which makes it challenging to retrieve memories. The good news is that when cortisol levels go down, memory quickly returns. Meditation is one of the best ways to manage stress, but make sure it’s a form of meditation where you’re not trying to accomplish anything, such as emptying your mind, which is in any case impossible for more than about three seconds… if you’re very advanced. The best meditation techniques can be done anytime, anywhere, and teach you to gently redirect your mind and be in the present moment. The anytime, anywhere part is important—trying to find a quiet place to sit or lie down with closed eyes in the middle of the day can be stressful! Simply getting organized can be a huge stress reducer and leave the memory banks free to remember your three key tasks for the day or to put the clothes in the dryer. Don’t leave the house to do errands without a list of where you’re going, in what order, and what you’re going to pick up when you get there. If there are too many things on the list for that day, prioritize and choose the ones that really need to get done now. Make sure your hormone levels are sufficient to deal with your stress, so increase your progesterone intake at that time and if accompanied by anxiety then consider whether a combined progesterone and oestrogen cream might be more helpful for you.